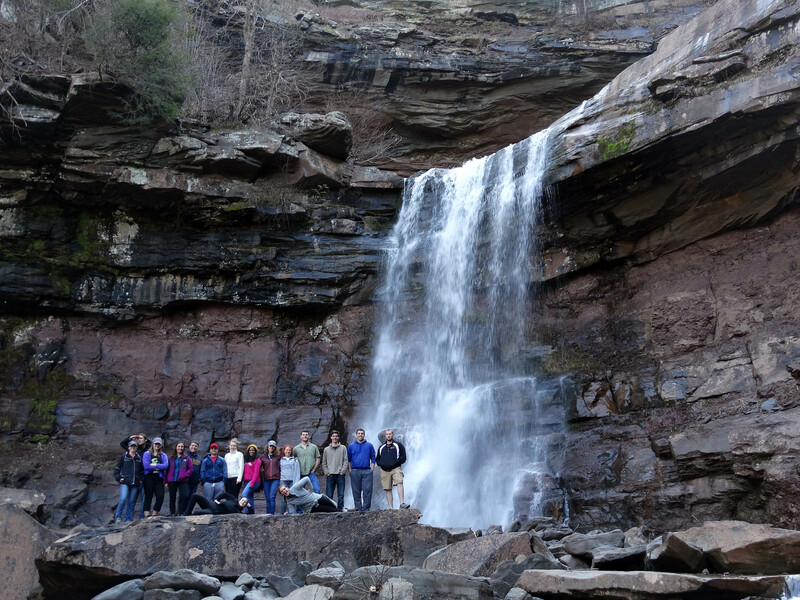 The Allegheny Geology Department emphasizes a close, hands-on approach with lots of field experiences. We have a small student-faculty ratio with a supportive atmosphere and we are committed to providing students with an outstanding foundation in the geosciences. The Geology Department ranks in the top 5% in eventual Ph.Ds. The Geology Department has three major programs: Environmental Geology (B.S.) and Geology (B.A. or B.S.). Both B.S. programs meet the requirements for certification/registration now mandated by most states for those employed in environmental fields such as groundwater contamination and exploration, geologic land use (e.g. coastal zones, landslides, flooding, earthquakes) and geologic resources (e.g. fossil fuels, mining and reclamation, geothermal energy). This program is designed to prepare students for graduate study involving Earth-surface processes or for employment as environmental geologists. It emphasizes those areas with most immediate societal relevance—hydrogeology, coastal processes, geomorphic processes, land use, energy resources, geochemistry of water and soils, etc. This program is designed to prepare students for graduate study in all aspects of geology or for employment as professional geologists. This flexible program can accommodate a variety of objectives, such as preparation for graduate programs in law or business or entry into a career field (e.g. K–12 teaching, public policy). A minor in geology requires the successful completion of Environmental Geology or Physical Geology, Historical Geology, and three upper-level courses.